It Doesn’t Have to Be Difficult! Set these ten steps for making calls into strategic stone so you’re ready to hit the phones in the first week of January! Your agent has identified them as a great agent to do business within your market. Pay them a compliment. It could be in their production or just the way they conduct business. Introduce yourself if you do not know them. Suggest getting together to meet and exchange information over coffee. Check the progress of a first or second-year agent. Follow up with agents that you have met with, but did not YET hire. Call to tell them about your special systems and services that your company offers. Invite those who left to come back! Regardless of why you are calling them, what to say seems to be the biggest challenge for most brokers and recruiters. For your best results, you should follow a process which allows you to build the relationship and secure the info that you need when the time is right for that agent to make a move. Our process teaches you how to diffuse the initial response of “I’m busy” or “I’m happy where I am.” When you can lower the resistance in the first few seconds, the call is much easier. Many brokers jump right in and ask them to meet. That works on occasion, but asking a few questions and engaging them in the conversation will usually result in a better close ratio. Most agents will say “no” at least two times, before saying “yes”! The secret is asking them more than one time in more than one way! Most agents will say no before even listening to what you have to say. It’s important to say something that will not only get their attention but pique their curiosity to learn more. There are also days of the week and times during the day which will have better results. 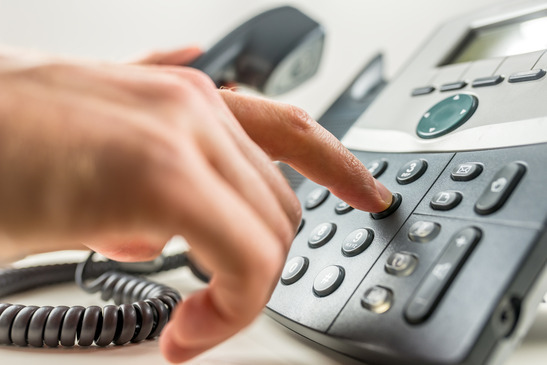 Those who understand the Rules Behind Successful Calling, will have fewer no-shows and spend less time making the calls, and more time face to face with the agents they want. 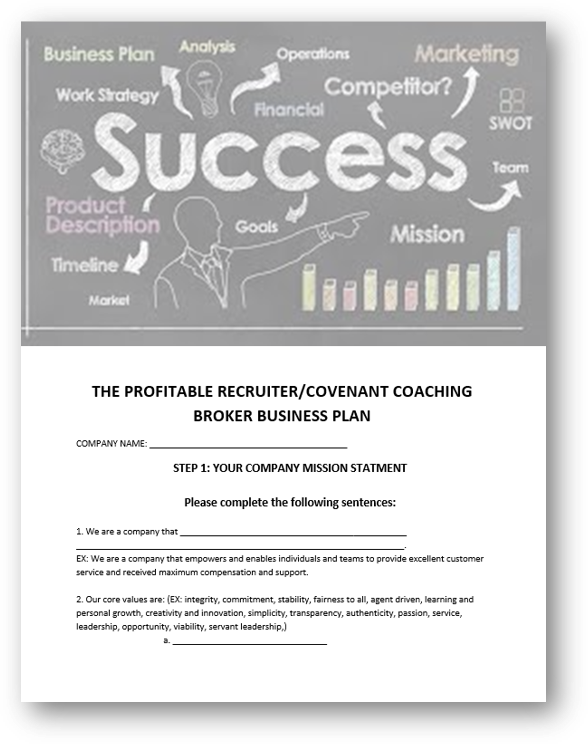 Want to continue to learn how to be the master recruiting skills and be the broker to join in your market? Bookmark our blog, and join The Profitable Recruiter today. We have a full spectrum of membership benefits with all the tools, strategies and solutions you need to position yourself to win this year and every year. Our goal is for you to become the “turn-to” broker in your area for every agent. Now, more than ever, making your phone calls should be your priority if your goal is to continuously build a great team. I do know that everyone has the best of intentions, and stuff happens. It happens to me as well. However, now is the best time to get a great return on your investment of time spent on the phone and getting those appointments booked! 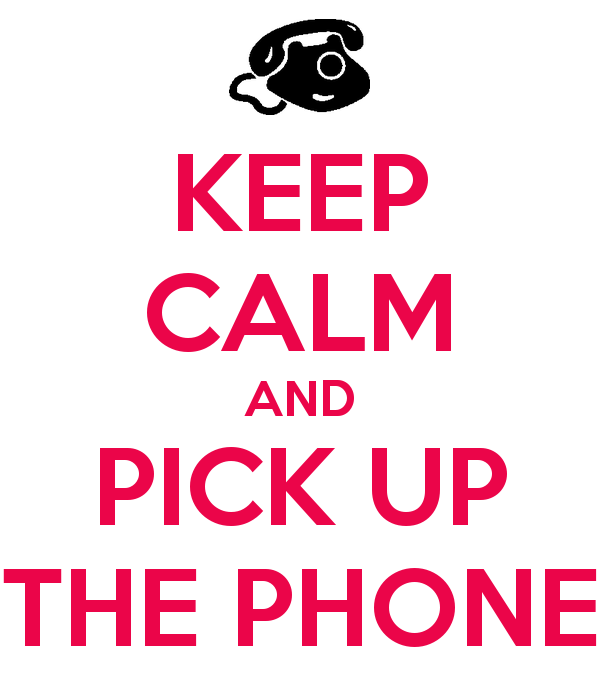 If you don’t make your phone calls, you could be missing out on some great recruits this fall. Everyone is back from winter break, but many agents have not yet ramped up their business. It’s an easier time for agents to make a move, which is why we are seeing so many agents doing just that. 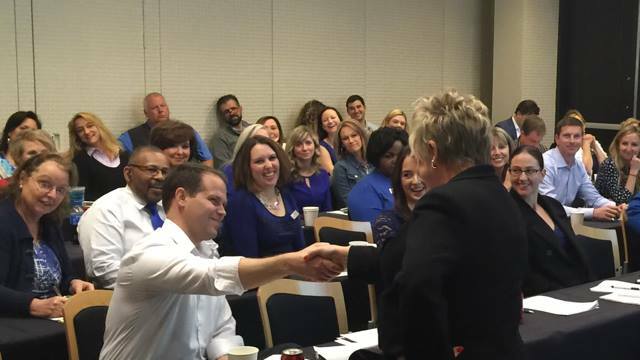 I just talked to one of my clients who has a team of 12 managers that recruited 59 experienced agents in one month! Their combined production is $189,000,000! What would a month like that do for your results? The only way to know is to get on those phones. Of course, marketing, promoting your results and networking also play an important role. 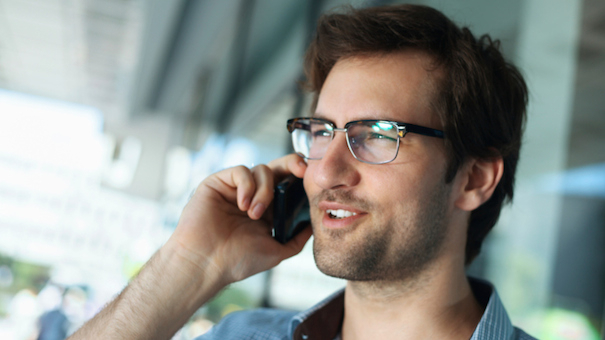 Marketing, promotion, and networking should enhance your results when calling. Would it be easier to make calls if you had just hired 59 top producing agents in the past 30 days? Of course, it would, but it all starts with the call. This time of the year, if you are not going to make the calls to book appointments, then hire someone who will. Someone recently told me that they thought that making calls was right up there with flying on airplanes, going to the dentist, or having a spider crawl up your leg as the greatest fears to the Broker owners of the nation. What are you afraid of? I have literally made thousands of phone calls and I can count on one hand how many times someone has been rude to me. If someone even thinks of taking a tone with me I’m quick to remind them, “I just wanted to remind you the fact that I’m calling you is a compliment to you today.” Usually, I’ll get a change of heart “I’m sorry, I appreciate your call, I was just…” Whatever their reason, stay on task and stay positioned. One of the best movies I have ever seen that helped me with sales calls is the movie Boiler Room. Ben Affleck plays the role of a recruiter for new sales reps in a finance firm. While training a group he tells them “Boys there is a sale made on every phone call, either you sell them to buy something, or they sell you why they can’t, but either way, a sale will be made.” What a powerful reminder. Keep Ben’s line in mind as you make your calls this month. Set yourself up for success. Plan your calls out ahead of time. Know who you are calling before you get to work. Many of the top recruiters still use the “old school technique: which includes a notebook with the names and numbers of those they are going to call written out. In the movie The Pursuit of Happyness, the true success story of Chris Gardner, this is the best example of discipline in phone prospecting I have ever seen. Chris is limited in the time he can call prospects so he doesn’t drink water, which saves trips to the bathroom, and he never hangs up the phone, which saves him eight minutes a day. I’m not suggesting anything that extreme; however, have a plan before you arrive at the office tomorrow of who you are going to call and have their numbers handy. This organized plan will hold you accountable for your success. Bottom line? Fire up those phone lines and make the calls. In almost all of our webinars on demand, our spotlight brokers discuss their strategies for making the most of prospecting time. There are powerful tips and techniques to be learned from them all. In fact, there are more than 15 recruiting-specific webinars from which you can glean powerful ideas from some of the best recruiters in the business. We are so grateful to our presenters who so generously share their success strategies with brokers all over the world. There are also six specific audio-training downloads that revolve around phone scripts and strategies. The tools are right there at your fingertips – let us know if you need help accessing them! Continue to learn how to be the master recruiting skills and be the broker to join in your market. If recruiting is a challenge for you, we can help. 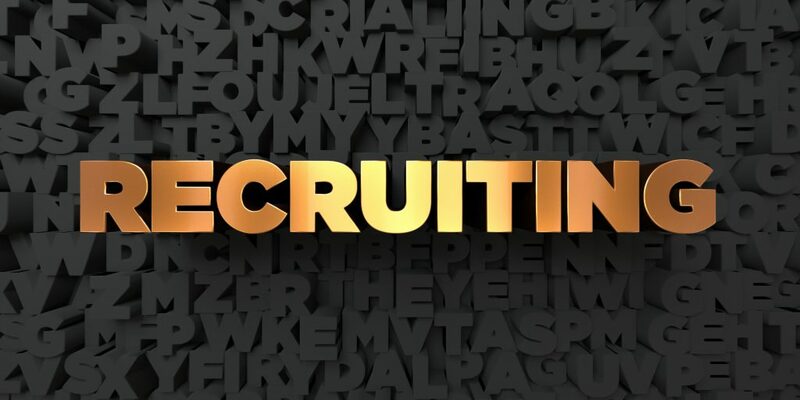 Join The Profitable Recruiter and gain access to 7+ hours of audio training via downloadable links, powerful recruiting letters and notes, emails, social media tips, over 30 webinars for recruiting and retention, and opportunities to network with the best of the best. Join today and take advantage of our special offer of 35% off with the promo code PLAN35 any pro membership. It’s that time of year, right? When you are looking at your business plans and thinking about making some changes in your company ? Change is GOOD, but properly timed change is GREAT! We have all heard the saying; the only constant thing in life is change. The same is true for your business. Change is necessary and needed to move forward. However, change is also the #1 reason for vulnerability in a real estate office. When you are vulnerable, you can lose agents. There are also times when you should NOT implement a change. Change is the #1 reason for vulnerability. When you implement change, there are a certain number of agents who will be unhappy with the change. It has the potential to create some resistance in your office. We understand that it’s impossible to implement a change and have everyone be happy. But here are some tips for implementing change to control vulnerability. #1: Try to involve your agents whenever possible: If you are changing locations, ask a team of agents to help you locate a new location. Go out with them to scout out new office space. Let your agents sell the group on the new location. You could also set up a committee to determine the new colors for the office and ideas for office design. Let them spend their time with the designer, but you can make the final decisions. #3: Grandfather your existing agents whenever possible when you are changing compensation or fees: Money is always a tricky change, and possibly the most delicate one. When possible, “grandfather” the existing agents and apply the change to those new agents who will be joining after the implementation. Another idea is to grandfather all agents whose production is above a certain amount. You could say “If you are generating GCC of $90,000.00 or more, you will be grandfathered with regard to the new changes.” You can also grandfather agents who have been with the company a long time. “If you have been with our firm for 10 years, or your production is $(Amount), you will not be subject to the new changes.” Keep in mind that emotional agents will usually not leave because of the money, but they are hurt that after so many years, or at their level of production, that you would take money out of their pocket, or not honor the original agreement that they had. 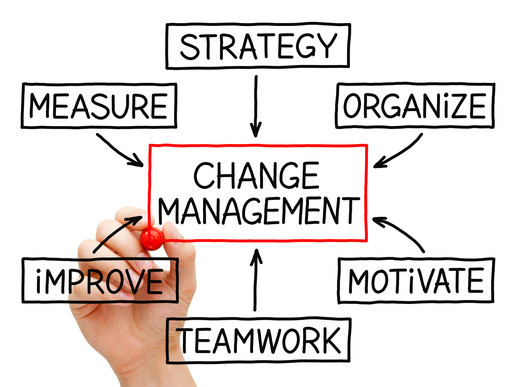 #4: A management change is also tricky: Whenever you change managers, you should consider the personality of the manager that is being replaced. If the manager that is being replaced was very friendly, emotional and well liked by the agents, you would be more vulnerable with a new logical manager. If the manager that you want to put into place is a different personality, you can decrease your vulnerability by putting in an interim manager, or yourself, while they go through their mourning period over the loss of their manager they liked. What I found worked well was to personally manage the office for a period of 6-12 months. During that time I would look for a new manager. When I found the new manager, I would bring them in as a manager in training and co-manage with them for 3 months. After 3 months, I would turn the office over to the new manager, and ease out over the next 30 days. Times to avoid change: There are two times that you want to avoid making a change if possible. Do not make changes during “recruiting season” or when their production is at a low point. The months of December/January and August/September are probably the two most vulnerable times to make a change. Agents typically have fewer listings and pendings during this time, so making a move is easier. 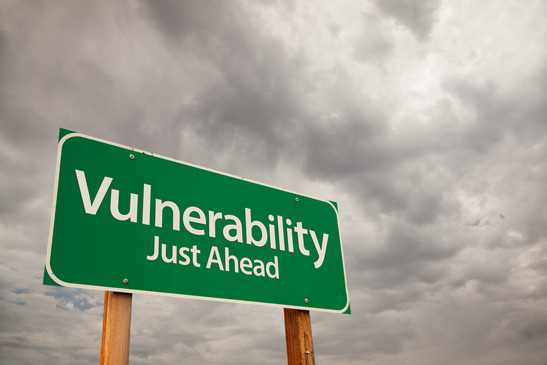 You also do not want to make a change while you are already vulnerable from a prior change. For example, if you just changed the name of your company, don’t change the compensation plan the following week. Bottom line: The best way to retain your agents if you are vulnerable, is to always be working on retention. Start today by sending thee notes a week to your agents. Think of something nice to say about them and let them know how much you appreciate them. If you always practice retention, the competition will have a tough time raiding your office. Continue to learn how to be the master recruiting skills and be the broker to join in your market. If recruiting is a challenge for you, we can help. What are you waiting for? Join today and save 40% — and add up to 10 managers on your account at no additional cost. Powerful Phone Skills Can Be Easy! Your office has a co-op transaction with that agent. Your agent has identified them as a great agent to do business with in your market. Invite them to a social or educational event that you are hosing. Pay them a compliment. It could be on their production or just the way they conduct business. Most agents will say “no” at least two times, before saying “yes”! The secret is asking them more than one time in more than one way! Most agents will say no before even listening to what you have to say. It’s important to say something that will not only get their attention but peak their curiosity to learn more. There are also days of the week and times in the day which will have better results. Those who understand the Rules Behind Successful Calling, will have fewer no shows and spend less time making the calls, and more time face to face with the agents they want. Do you want to hire more agents? Mastering the phone is an important part of the puzzle! Not only will you learn many of these vital tools in the 7+ hours of audio training that you get as part of your Profitable Recruiter Pro membership – you have the advantage of learning on demand – individually or as a leadership team. And if you HAVEN’T put systems in place to ALWAYS have the tools you need to grow your team with fewer headaches and more results – consider joining The Profitable Recruiter today. Take 35% off with the promo code PLAN35 — PLUS, have the ability to add up to 10 managers or admins to your account at no extra cost! That’s 35% off everything you need to be in the right place at the right time when the agents you want are ready to make a move – AND includes the SEVEN HOURS of recruiting audio training, more than 30 webinars on demand, scripts, letters, social media tools and more! What are you waiting for? Register today. Top agents, top athletes and top brokers will all tell you the value of having that outside person or industry expert hold you accountable weekly. Coaches hold us accountable to do what it is that we already know we should do, but don’t. We are all guilty of putting off those tasks which are not quite as much fun. A coach is the person who will keep asking you, week after week, “Did you get (task) completed yet?” They nudge us in the direction that we have said that we want to go. They listen, and give feedback, then remind you of the goal. Coaching is not designed to be training. Training teaches you what to do. Coaching gives you the support needed to stay on track and get it done. Accountability is not a bad thing, but it can certainly cause you to feel the pressure as that accountability call approaches. Most brokers say that it is the most important piece of their success. Without it, it’s easy to come up with a bunch of creative reasons of why you didn’t get make the calls. Didn’t set the appointments. Didn’t create the new hit list. Didn’t do whatever you SAID you were going to do for the week. Your coach or accountability partner is someone who you respect the opinion of, who you know will tell you truth when you’re on or off track. They are the person you can turn to who can review both successes and failures of each of your interviews. 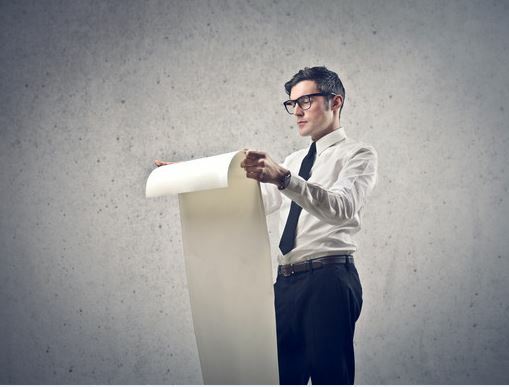 Coaches, especially can provide you with various ways to overcome objections and stalls. Knowing someone is going to hold you accountable for what you said you are going to do, is a powerful motivator. If what you want is to lead in your market, build the best possible team, and keep the great agents that you already have and you are serious about growing your company then I challenge you to do three things starting sooner rather than later. Commit to training. To learning the skills you need to be at the top of your game. To investing the time, money and effort into learning the objection handling tools, the dialogues, scripts, interview and phone skills, and mindset to push past any fear or limitations you might currently feel to truly finish this year strong and set yourself up for an incredible new year. Commit to consistency. That one and done marketing approach never works. You would say the same to your agents when they try it, so why would you attempt a shotgun approach to your recruiting? Consistent, effective, powerful messaging and marketing every month is the key to building those relationships that will lead agents to your door. 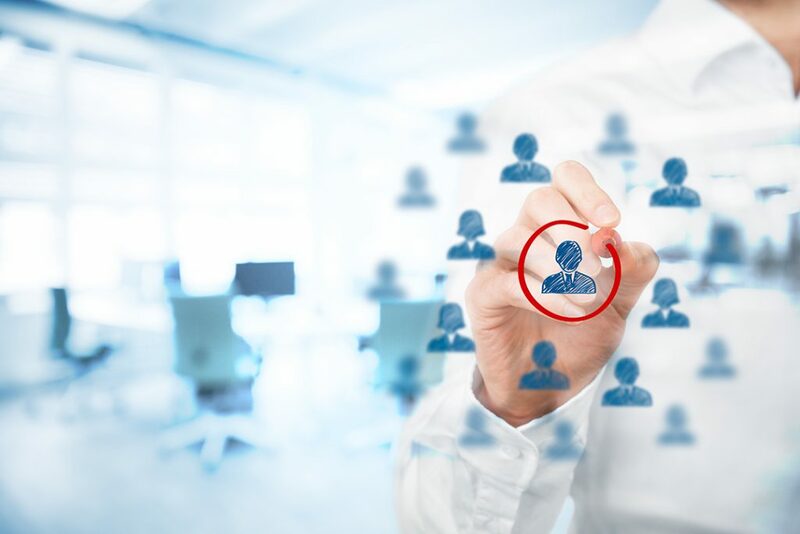 If you’re not reaching out to your hit lists week after week with topical, timely content that doesn’t push but does present you as a trusted leader and resource you’re leaving opportunities to recruit and money on the table. Commit to an accountability partner. Whether you are ready to hire a coach or know of an industry professional that you can partner with to keep each other on track, don’t go another week without putting this vital business component in place. It’s a game-changer. Fair warning, it’s not comfortable to be accountable for your actions if you’re not willing to commit. It’s not comfortable to have to say to a coach or partner, “I didn’t do what I said I was going to do.” It’s not supposed to be. Here’s the flip side of that coin – when you DO what you commit to doing, boy does that feel great. You can’t WAIT for that call. 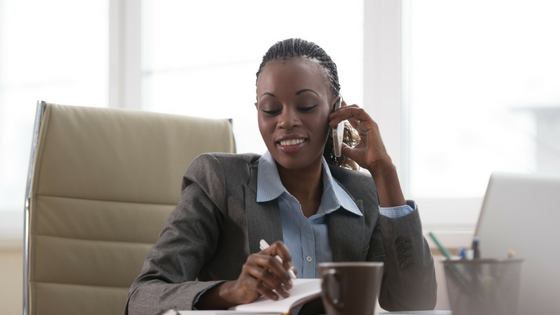 And once the habit takes hold and you are walking the walk not just talking the talk each month not only will you appreciate those calls that keep you on track, but your office will be thriving and you’ll be sharing this strategy with your agents. 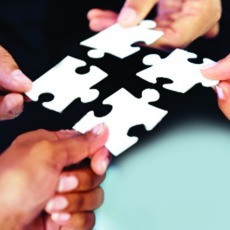 Pretty soon you’ll have integrity partnerships all over your organization! And when THAT happens – your business and theirs will grow exponentially. Everyone wins. What are you waiting for? Start today! 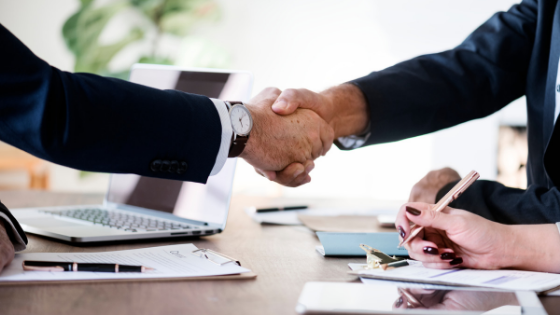 If you’re not sure how to be consistent and what messages and marketing you should be using to connect with your current agents and your prospects each month, then take a good long look at The Profitable Recruiter. It has been a differentiator for brokers. Why? Because it’s done for them, takes the guess work out of recruiting and they can put their marketing on auto-pilot and focus on follow up. Systems are powerful because they keep us from getting in our own way! With your membership you get powerful, content-rich weekly emails to send to your agents and prospects. It’s the perfect way to stay positioned and top of mind as the broker who cares and is committed to helping them create better lives and careers. You also get seasonal letters and “lumpy letters” each month which are perfect for sending to your top-tier recruiting prospects. They get opened, get agent attention, and create quite the buzz in your market as agents tell their colleagues, “Did you see what I got from (your name)?” You also get social media tips each month and weekly broker recruiting and retention plans. The icing on the cake is our training – each month we feature a top broker or industry expert from around the world to discuss what they are doing that is making an impact and allowing them to build their best team. We also host an agent webinar that features a top agent – you should invite every member of your team to attend as well as your prospective agents. And lastly, you’ll get seven hours of audio training that cover everything from scripting and dialogues to objection handling and interview skills. All of that for just $197 per month. In fact, register today and take 35% off your order with promo code PLAN35 any 6-month or annual plan. Our members are recruiting both new and experienced agents as well as entire teams using this system. If you recruiting just ONE, you’d more than pay for the entire system for years! Give it try. Summertime. A time when most are ready to put things in slower gear and take some much needed R&R. We wanted to share a webinar we did last year that helped many brokers stay positioned all summer long with the agents they wanted to recruit — and still have time for fun! Recruiting season is not that far off – don’t lose the foundation you’ve built during these slower months! Here’s how to stay at the top of your game! Having the right systems and strategies in place takes some of the guess-work out of your success. We are happy to be a resource to help you develop a strong, supportive culture in your office, stay top of mind with the recruits you want to hire, and give you the scripts and dialogues you need to close even the savviest of agents to join your team. 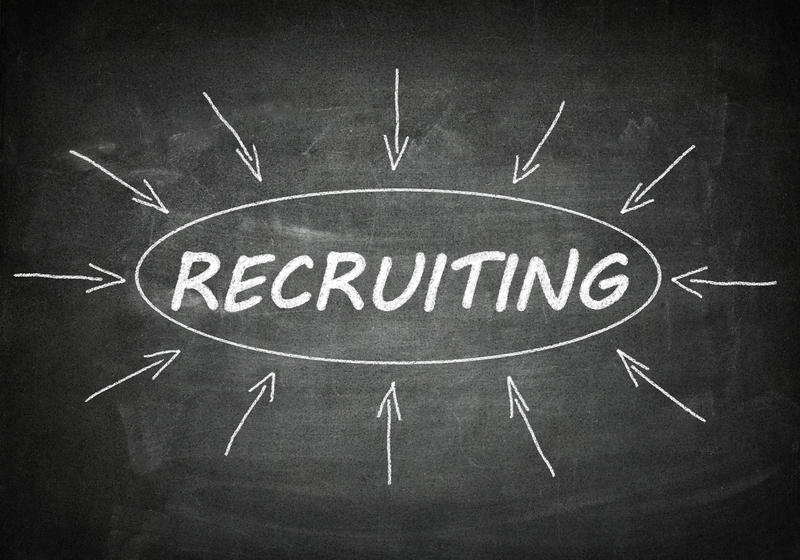 Want to learn more about how to become a more profitable recruiter? Check out our Membership Benefits and enroll today. Take advantage of our special offer! Make any Profitable Recruiter Pro Membership part of your business plan, and take 30% off with the promo code 30OFF — PLUS, have the ability to add up to 10 managers or admins to your account at no extra cost! That’s 30% off everything you need to be in the right place at the right time when the agents you want are ready to make a move – including SEVEN HOURS of recruiting audio training, more than 30 webinars on demand, scripts, letters, social media tools and more! What are you waiting for? Register today! Want your eNews recruiting done totally for you? Check out our new Concierge service that manages your email marketing for you! 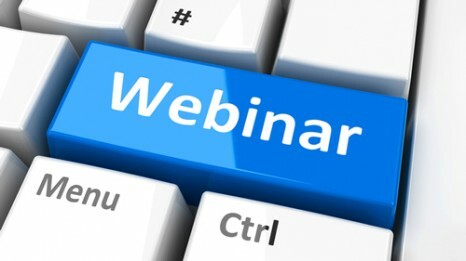 Speaking of webinars, members, be sure to join us June 7th at 1pm Eastern for a very special guest Rhonda Sher, the LinkedIn Diva for a very special Broker and Agent Webinar! Log in to your membership platform now to register. 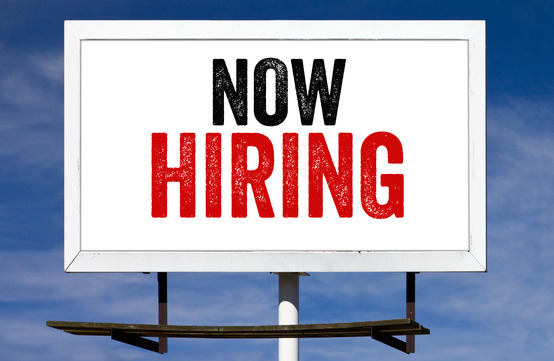 There has never been a better time to hire new to the industry agents. Many brokers say that the average age of their existing agents is close to 60 years old. That creates a few concerns for many brokers. First, these agents will soon be retiring. More importantly, the millennial home buyers are getting ready to enter the real estate market, and most brokers admit that they know they need to hire some younger agents who can communicate with the next wave of buyers. The great news is that the millennium agents WANT support, training, and a broker who cares and is there to support them. This describes many of the real estate offices out there, so let’s make hiring the “new ones” a priority. Be honest about the position: I think we owe it to them to be honest about the career they are about to embark on, and their ability to work in a commissioned sales job. They trust us to only hire them if they can make it, but unfortunately, that’s not always the case.Tell them up front. “If I think that you can make it in the real estate business, I will hire you today. If I don’t hire you today, you should reconsider your decision to go into real estate. I am telling you that because ours is an industry where anyone with a license can find a job somewhere. But getting hired is not an indication that you will make any money. In fact, 90% of the people in this business earn a poverty level income. But again, if I think you’ll make it, I will hire you. And if I do hire you, I will do everything possible to insure your success. Does that sound fair?” I always had their attention when I told them that, and they knew that I was serious. I would tell them the good stuff, as well as the challenges — and build some humor into it. Tell them that very successful real estate agents make well over $100,000.00 per year, and they can earn that after a few years. I told them that they could set their own hours, because they were the boss. They could sleep late, or leave early. I then explained that they could have any insurance policy they wanted, and any retirement plan that they wanted as well. They could take unlimited vacations, without asking anyone’s permission. I would then smile and say, “How does it sound so far?” Of course, they would say great. I would then continue with, “Of course, even though very successful agents earn over $100,000.00 per year, 90% of all agents earn under $30,000 per year. You can come and go as you please, but if you are not working, you are not earning any money. You should be prepared to work an average of 60 hours per week for the first year, and maybe every year! You can select an insurance and retirement policy, because you pay for it. You can take vacations any time you want, but someone needs to cover your business, and if you are not working, you are losing money. Are you still excited?” You would be amazed how many people do not know what it means to be an independent contractor. I was looking for the agent who understood the risks, and still wanted “in”. I went on to explain that there are two types of jobs in the world. High risk / high-income jobs, and high security /low income jobs. The higher the risk, the greater the potential for income. In the stock market, as well as the job market. That’s why banks pay very little interest on a savings account. There is no risk, and therefore, the return is low. But your money is very safe. That’s why you make more if you are willing to take a risk. I would then find out why they wanted to give up the security of a “real job”, and go into real estate. I looked for desire, motivation, confidence, passion, drive, and tenacity. I asked lots of questions, and I paid attention to how I felt as they talked. I looked at their past successes, and failures. How did they handle problems? How hard were they willing to work? Did I believe they could make it? If so, we continued. There are lots of other things that will increase their odds of making it. A professional image, financial security, a strong sphere of influence, good eye contact, good people skills, and a need to make money. The more pluses they have, the greater their chance of success will be. Create your own checklist. On the left, list those things you should be looking for in the interview, and then make notes after each item. The answer should be pretty clear by the end of the interview. By the way, I always told them up front, that if they decided to go forward with a career in real estate, and I decided to hire them, they would need to sign up for their real estate class that day. As a result, most of the good candidates signed up that day and got started with their career. Ready to kick up your recruiting, and position yourself to attract the agents you want sooner rather than later, join top brokers from around the nation who are members of www.TheProfitableRecruiter.com. You’ll get all the tools you need each month to position yourself as the broker to join when agents are ready to make a move. Fine tuning your skills this summer? All pro members get access to over SEVEN hours of training via downloadable links including interview skills, scripts, objection handlers, and more. PLUS, you’ll have access to entire libraries of recruiting letters and notes, emails, social media content, training webinars for recruiting and retention, and opportunities to network with the best of the best. Join today and take advantage of our special offer of 30% off with the promo code 30OFF any pro membership. That’s 30% off everything you need to be in the right place at the right time when the agents you want are ready to make a move! Want your eNews recruiting done for you? Check out our new Concierge service that manages your email marketing for you!